In celebration of The City of Durham’s 150th Anniversary of Incorporation, The American Tobacco Campus is pleased to present Landmarks in Creativity, an eclectic selection of artworks inspired by The Lucky Strike Water Tower from The American Tobacco Campus Collection. The Lucky Strike Water Tower is one of Durham’s most famous landmarks. 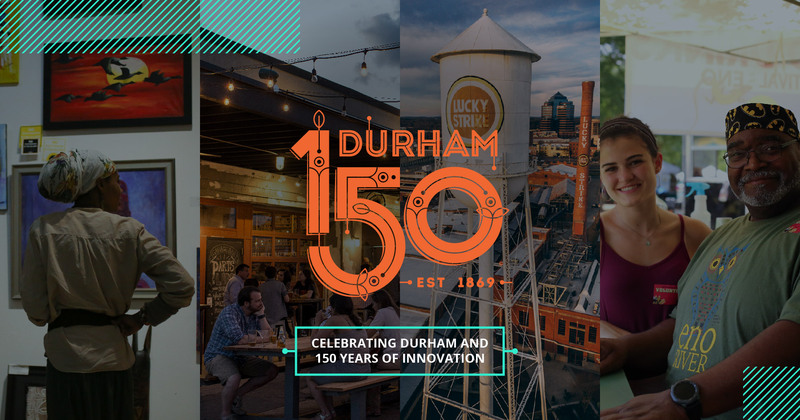 The structure has evolved from existing solely as a tobacco production staple into a beacon that signals family and friends to gather and enjoy the City of Durham and its unique community. The Lucky Strike Water Tower is a marker that is forever embedded into Durham’s ever-growing, diverse population. Similar to the water tower’s distinct location, each artwork included in the exhibition situates the viewer into a specific conceptual vantage point. Themes involving local history, social equality, and community are depicted using multiple methods of production. We invite you to share in the celebration by creating your own Lucky Strike Water Tower using the materials located on the table in the gallery. When completed we encourage you to become part of the exhibition and hang your creation on the gallery’s wall.